The Tarpon 42 TP is a very comfortable boat which can be sailed without a license. It is perfect for 3 couples or for a family. Make a cruise and become the captain! 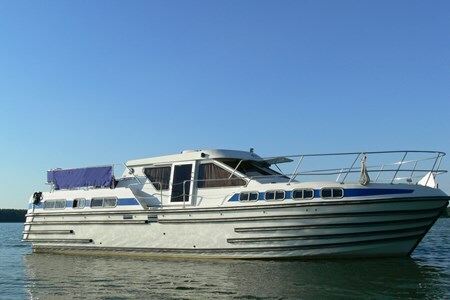 Interior equipment: - 3 cabins, 1 with double bed, 2 with two single beds convertible into a double bed. - Dishwasher (except Belgium and Germany). - Nespresso type coffee maker.